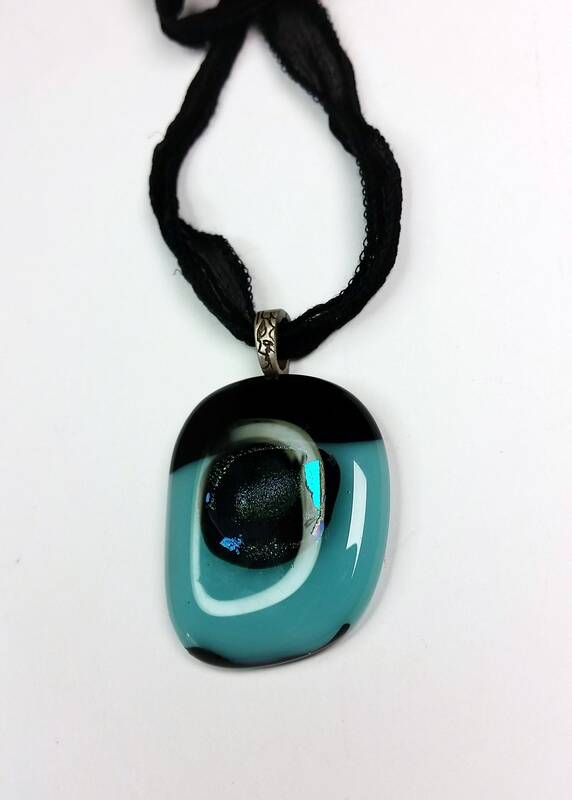 Black and teal are an eye catching combo like none other! 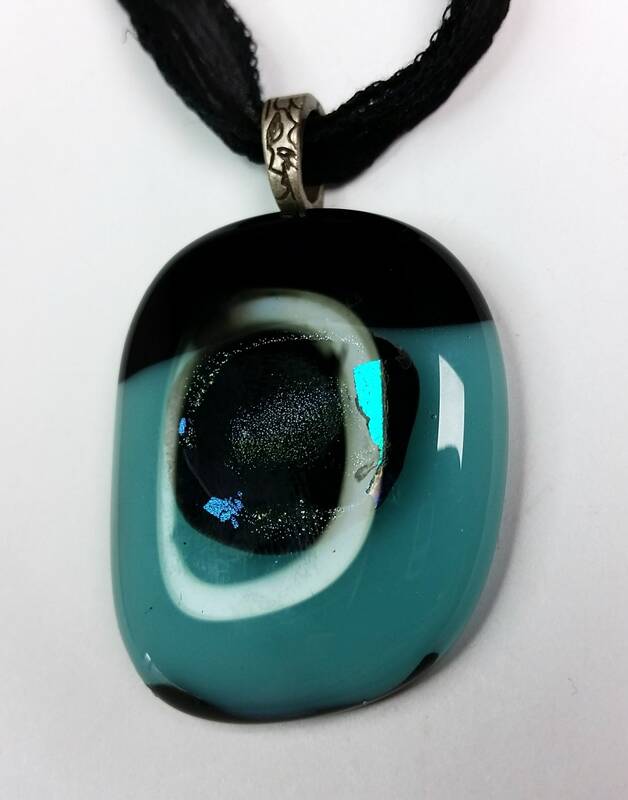 Dichroic glass has a metallic reflective layer that appears to change color when the light angle changes. 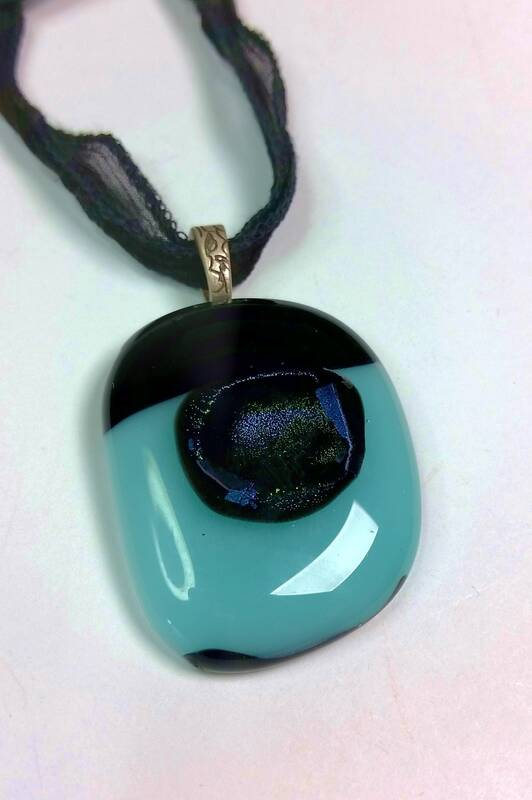 This nearly rectangular piece has layers in a circle near the middle of the pendant, with metallic teal and green over black glass, all with a layer of clear glass atop. I love how it sparkles and glows differently as the light hits it from various angles. 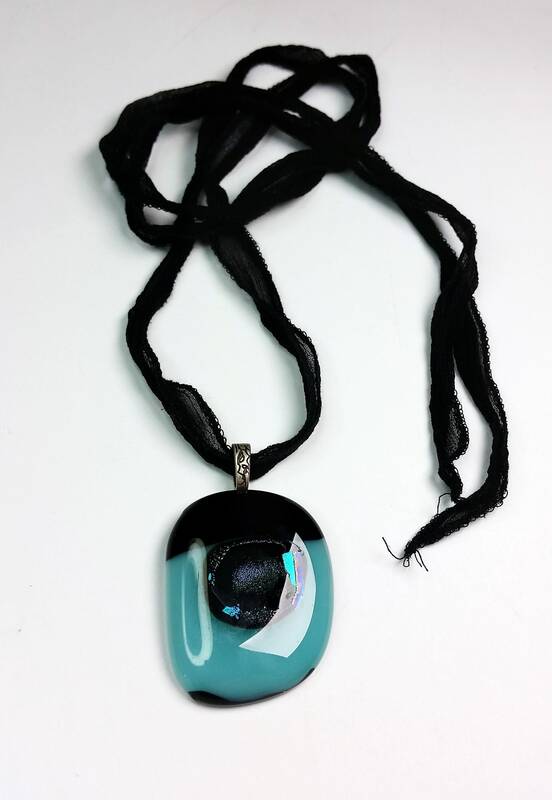 I paired this glass with a matte finished antique silver etched bail and strung it on a black fairy ribbon that is approx. 38 inches long. 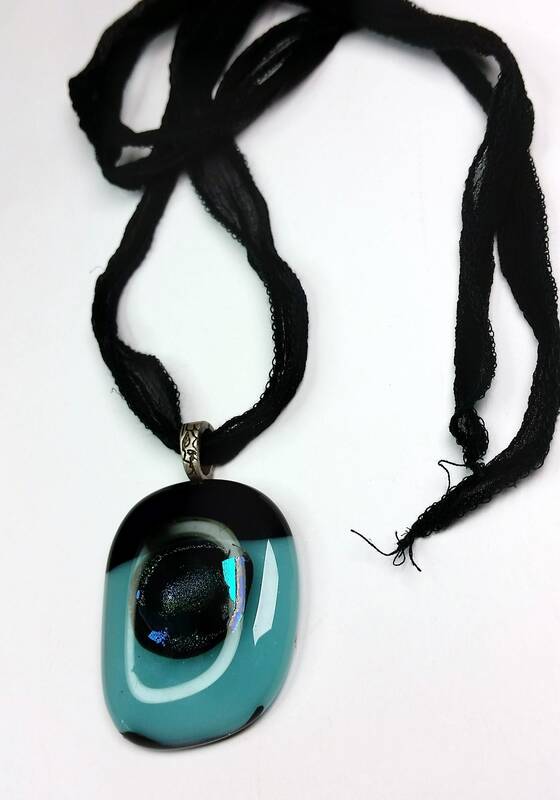 Thus this pendant necklace may be worn as at various lengths from choker to 22 + inches.